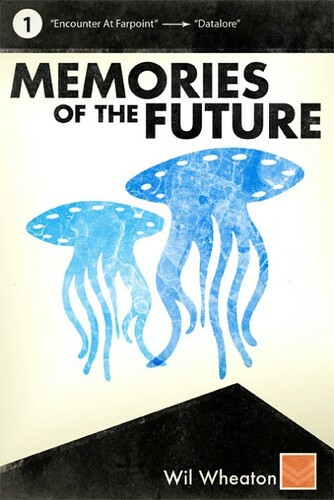 Today, Wil Wheaton releases his new book MEMORIES OF THE FUTURE (a title I think I’m responsible for talking him into using). All details, including the explanatory and funny foreword, are here at this link. It’s true, Internet. I was tearing my hair out, trying to come up with a title, and Warren suggested Memories of the Future to me. Thanks for your incredibly kind words, sire. that’s a fantastic cover. all it needs is a pelican on the corner.